The draw for the Intercontinental Beach Soccer Cup 2018 has seen Oceania nation Tahiti drawn in Group B alongside USA, Iraq and Russia. Group A has hosts UAE meeting Egypt, Brazil and newcomers Spain. Russia are three-time champions in this competition while Iran won it in 2013. Tahiti are the 2015 and 2017 FIFA Beach Soccer World Cup Runner-ups. Tahiti last met Iran in the semi-finals of the most recent edition in the Bahamas while they last met Russia during the Group Stage of the 2015 world cup, a match which the Tiki Toa narrowly prevailed 7-6 in. The eighth edition of the Intercontinental Beach Soccer Cup will take place again in Dubai (UAE), between the 6th and 10th of November. A state-of-the art stadium on Dubai’s Kite Beach will host one of the most anticipated and prestigious beach soccer competitions in the world, one that features the globe’s best teams in the beautiful and unique city of Dubai. During the draw ceremony, HE Saeed Hareb, General Secretary of the Dubai Sports Council, said: “we are really happy to have this competition landing again in Dubai. 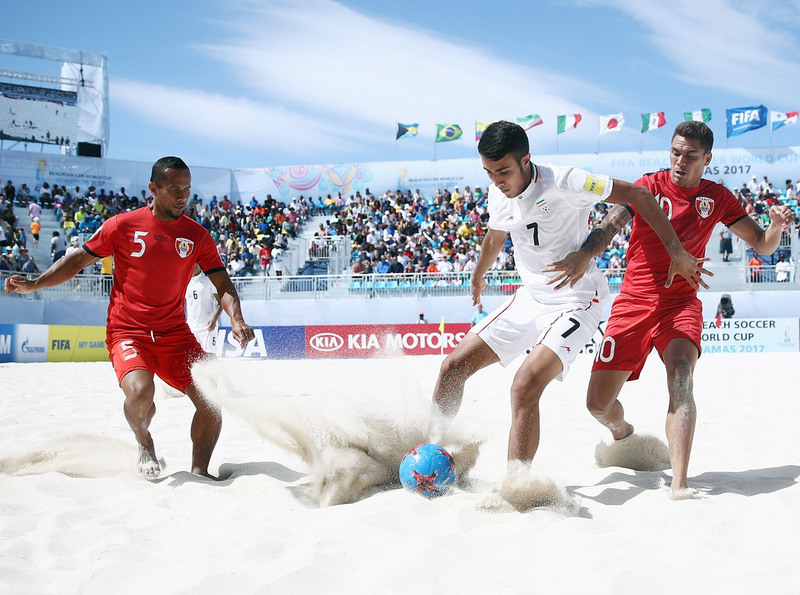 Beach Soccer is tightly related to a healthy lifestyle, something Dubai and the Dubai Sports Council firmly believe in. Hareb also noted the excitement at welcoming the eight participating teams to Dubai. In addition, Cusco also mentioned the change of venue, which he felt was a good move.